After last week’s foray into iced green tea, today I was looking for something milky to accompany a slice of cake and potting up my plants. I absolutely love chai, and I’m going through a real iced coffee phase at the moment, so I decided to go for an iced chai latte recipe that I could share with you. 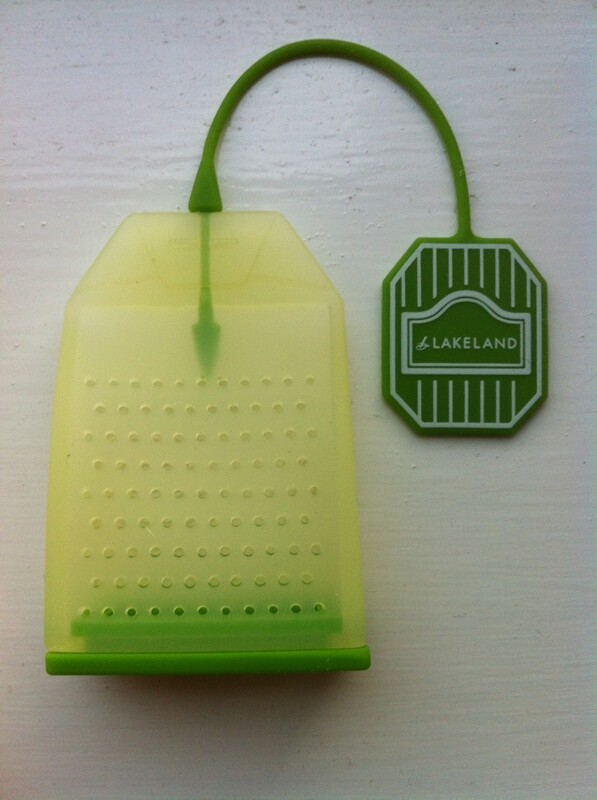 I used my new Lakeland silicon tea bag, a handy tea strainer that is easy to fill and perfect for no-mess tea brewing. I filled this with Kandula Ceylon Ebony Chai Tea. 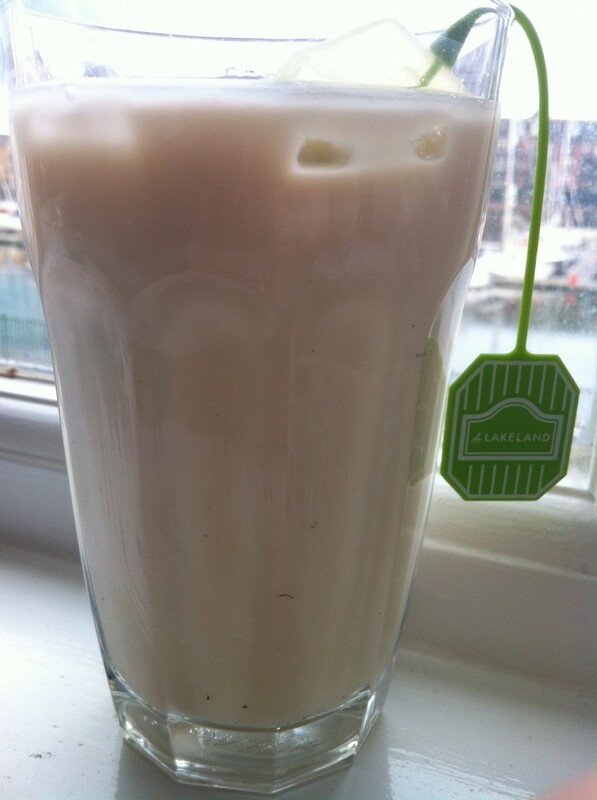 This is one of my favourite chai teas as it’s got a really interesting and many-layered flavour. I think it’s the rose petals that make it so good. To make my iced chai latte, I steeped a bag of the Kandula Chai in just a little water for about 15 minutes – enough to really concentrate the tea flavour into the water and let it cool a little. Whilst it was brewing I added some honey to sweeten the tea. You can use sugar or honey but I prefer the latter for a mellow sweetness rather than the high notes of sugar. 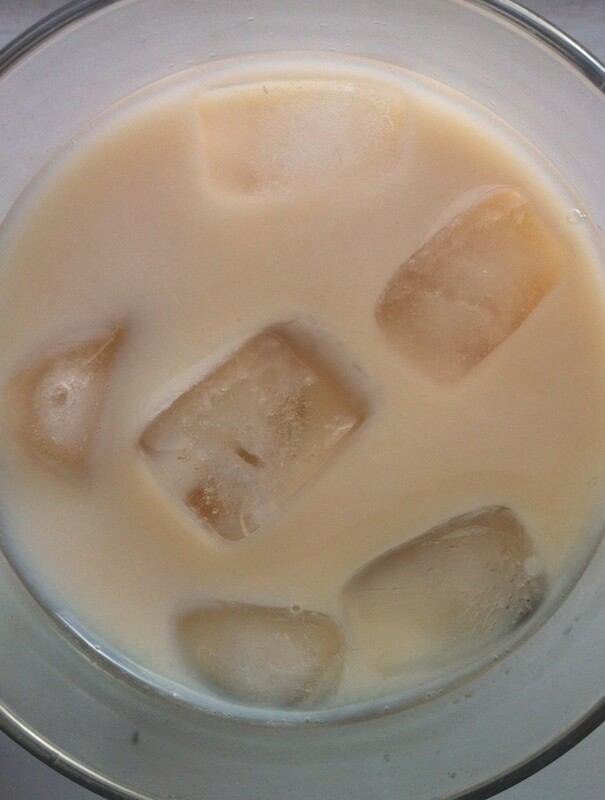 I added plenty of ice and topped the whole thing up with cold milk before enjoying. You could make this an extra treat by using half milk and half condensed milk or cream, or I think it would work fantastically with almond milk. Be sure to adjust your added sugar if you use any sweetened milk. Do you like iced chai? 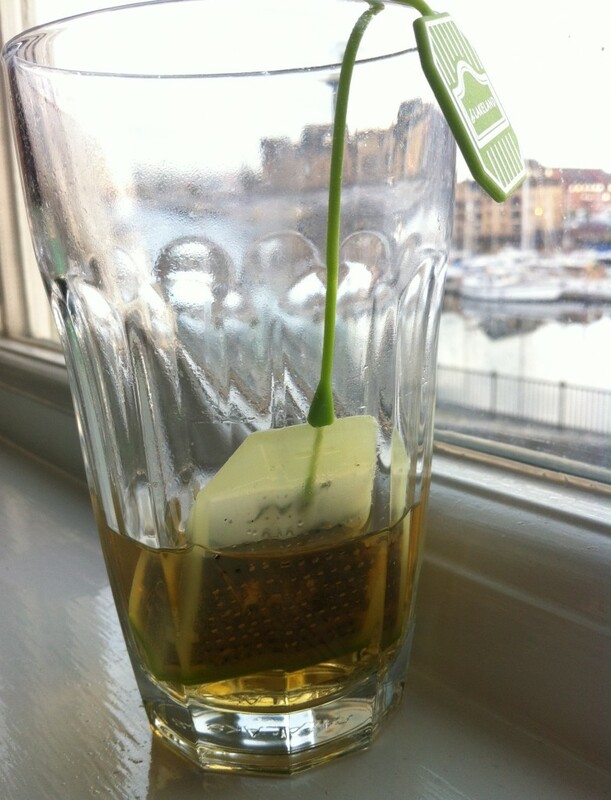 What’s your favourite loose leaf tea?